List of questions that went up about the project, in no particuliar order. Bonobo is an extract-transform-load toolkit for python 3.5+, that use regular python functions, generators and iterators as input. By default, it uses a thread pool to execute all functions in parallel, and handle the movement of data rows in the directed graph using simple fifo queues. It allows the user to focus on the content of the transformations, rather than worrying about optimized blocking, long operations, threads, or subprocesses. It’s lean manufacturing for data. This is NOT a «big data» tool. Neither a «data analysis» tool. We process around 5 millions database lines in around 1 hour with rdc.etl, bonobo ancestor (algorithms are the same, we still need to run a bit of benchmarks). Bonobo is battle-tested against the latest python 3.5 and python 3.6. It may work well using other patch releases of those versions, but we cannot guarantee it. Creating a tool that works well under both python 2 and 3 is a lot more work. Python 3 is nearly 10 years old. Consider moving on. Python 3.5+ contains syntactic sugar that makes working with data a lot more convenient (and fun). No, not for now. There are no tools today in bonobo to insert a graph as a subgraph. It would be great to allow it, but there is a few design questions behind this, like what node you use as input and output of the subgraph, etc. On another hand, if you don’t consider a graph as the container but by the nodes and edges it contains, its pretty easy to add a set of nodes and edge to a subgraph, and thus simulate it. But there will be more threads, more copies of the same nodes, so it’s not really an acceptable answer for big graphs. If it was possible to use a Graph as a node, then the problem would be correctly solved. It is something to be seriously considered post 1.0 (probably way post 1.0). There are indeed parameter injections that work much like pytest’s fixtures, and it’s the way to go for transformation context. The API may evolve a bit though, because I feel it’s a bit hackish, as it is. The concept will stay the same, but we need to find a better way to apply it. To understand how it works today, look at https://github.com/python-bonobo/bonobo/blob/master/bonobo/nodes/io/csv.py#L31 and class hierarchy. Plugins are special classes added to an execution context, used to enhance or change the actual behavior of an execution in a generic way. You don’t need to write plugins to code transformation graphs. Transformation callables are just regular callables, and there is nothing that differentiate it from regular python callables. You can even use some callables both in an imperative programming context and in a transformation graph, no problem. 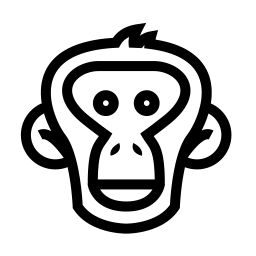 I do use bonobo for marketing automation tasks. Also, half the job of coding something is explaining the world what you’re actually doing, how to get more informations, and how to use it and that’s what I call “marketing” in some commits. Even documentation is somehow marketing, because it allows a market of potential users to actually understand your product. Whether the product is open-source, a box of chips or a complex commercial software does not change a thing. Marketing may be good or evil, and honestly, it’s out of this project topic and I don’t care. What I care about is that there are marketing tasks to automate, and there are some of those cases I can solve with bonobo. I did not find the tasks I had easy to do with the libraries I tried. That may or may not apply for your cases, and that may or not include some lack of knowledge about some library from me. There is a plan to include comparisons with major libraries in this documentation, and help from experts of other libraries (python or not) would be very welcome. Bonobo is not a replacement for pandas, nor dask, nor luigi, nor airflow… It may be a replacement for Pentaho, Talend or other data integration suites but targets people more comfortable with code as an interface. Sorry, my bad. I’ll work on this point in the near future, but as an apology, we only have one word that means both «ape» and «monkey» in french, and I never realised that there was an actual difference. As one question out of two I got about the project is somehow related to primates taxonomy, I’ll make a special effort as soon as I can on this topic. Me (as an individual), and the growing number of contributors that give of their time to move the project forward. Bonobo is not commercially endorsed, or supported. If your company wants to sponsor parts of Bonobo development effort, let’s talk. The code, documentation, and surrounding material is created using spare time and may lack a bit velocity. Feel free to jump in so we can go faster! Yes, and sorry about that. An amazing way to make it better would be to submit a pull request about it. You can read a bit about how to contribute on page Contributing.